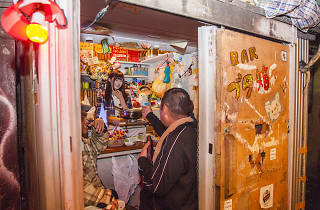 Hidden away in the neon glow of Shinjuku, down a dubious-looking alleyway in Kabukicho, Bar Buta-Bako sits right next to a Chinese restaurant where you can try leftfield delicacies including fried spider and scorpion. This ‘barrack-style’ boozer seats only five, yet the small size lends it a relaxing, comfortable atmosphere. 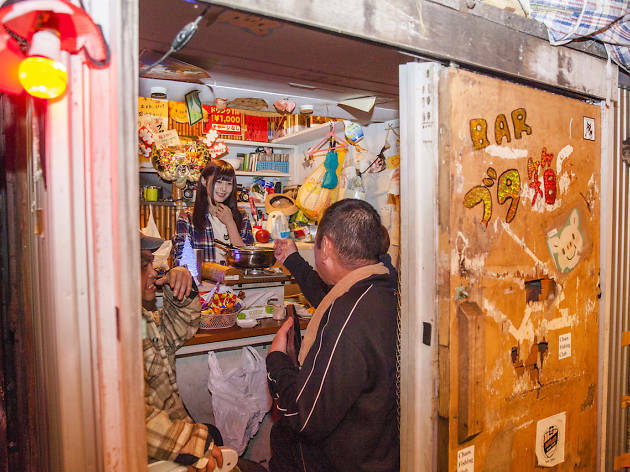 The bar’s intriguing name – ‘piggy bank’ in Japanese – comes from the owner’s wish that as many customers as possible come and visit him, just like you’d prefer as many coins as possible in your piggy bank. There’s no cover charge, but each drink will set you back ¥1,000. The bar staff change on a daily basis, so different conversations can be had every time. If you’re lucky, you might also meet the resident cat.